The Earth’s topsoil contain approximately 2,500 gigatons of carbon, which is more than three times the amount of carbon in the atmosphere and about four times the amount of carbon stored in all living animals and plants. However, thousands of years of deforestation, erosion and ploughing have damaged the aforementioned topsoil, causing it to emit large amounts of carbon dioxide (CO2) gas into the atmosphere, contributing to climate change (global warming), as well as ocean acidification, which is harmful to marine life. At this point, it is worth noting that a recent study found that the world’s cultivated soils have lost more than half of their original carbon stocks. Fortunately, practices such as composting, carefully planned grazing, increasing plant diversity and keeping soils covered with vegetation can not only help to remove carbon dioxide from the atmosphere and put it back in the soil, but also promote soil healthy. With that in mind, here is some more information on this topic. In general, plants absorb CO2 from the atmosphere through a chemical process called photosynthesis. During this photosynthesis process, plants use sunlight and water to turn carbon into roots, stems, leaves and seeds. At the same time, plants release some CO2 into the atmosphere and secrete some carbon through their roots to feed soil microbes including nematodes, protozoa, fungi and bacteria. Of course, because plants are living things, they eventually die. When they die, the aforementioned microbes break down the plant’s carbon compounds through a process called microbial decomposition and in the process, release some carbon into the atmosphere. To prevent soil from losing carbon this way, it needs to be protected from microbial activity. This is where microbes such as the mycorrhizal fungi come in handy. More specifically, the mycorrhizal fungi produce a sticky compound that binds tiny soil particles together, allowing soil to retain more carbon. Moreover, soil aggregation is important for healthy plant growth. At this point, it is worth noting that, depending on its composition, carbon can remain in the soil anywhere from a few days to centuries. The amount of carbon in soils typically varies from one location to another and it is generally depends on land management practices, such as tilling and deforestation. Such practices also determine how long soils can retain carbon. Because nearly half of the arable land in the world has been converted to rangelands, pastures and croplands, soils across the world have lost anywhere from 50 to 70% of their initial carbon content, contributing to nearly 25% of all manmade greenhouse gas emissions globally. Some of the agriculture practices that cause soils to lose carbon include excessive use of pesticides and fertilizers, tilling, monocropping, over-grazing, and removing crop residue. Additionally, practices such as thawing permafrost, draining of peatlands and deforestation can also cause soils to lose carbon. According to the state of the plant at Columbia University on Climate Change, removing the excess amount of carbon from the atmosphere can help prevent the negative effects of global warming. One of the most effective ways of achieving this goal is sequestering carbon in soils using the soil-plant system. During photosynthesis, plants use the CO2 in the atmosphere to produce carbohydrates, reducing the amount of CO2 in the atmosphere. Meanwhile, as plants die and decompose, soil microbes help to incorporate some of their tissues into the soil. This means that, under the right conditions, soils can help remove carbon dioxide from the atmosphere. It is worth noting that, in the recent past, carbon sequestration by soils has attracted a significant amount of research interest because of the soil-plant system’s ability to reduce CO2 levels in the atmosphere. For instance, a 2017 study found that with better soil management practices, global croplands can potentially store an additional 1.85 gigatons carbon annually, which is equivalent to the amount of carbon the global transportation sectors emits every year. With the right soil management practices, researchers believe that soils could sequester carbon for up to 40 years before they become saturated. Such practices that can help put more carbon in the soil include planting cover crops such as legumes and clover or leaving crop residue in the ground after harvest. Similarly, minimizing tillage, practicing proper crop rotation and rotational grazing can help add carbon in the soil. What’s more, the use of compost and manure adds carbon in the soil, improving soil health and productivity. In fact, a study by the Marin Caron Project found that compost can increase the soil’s carbon content continually, at a rate equivalent to removing about 1.5 tons of carbon from the atmosphere annually. 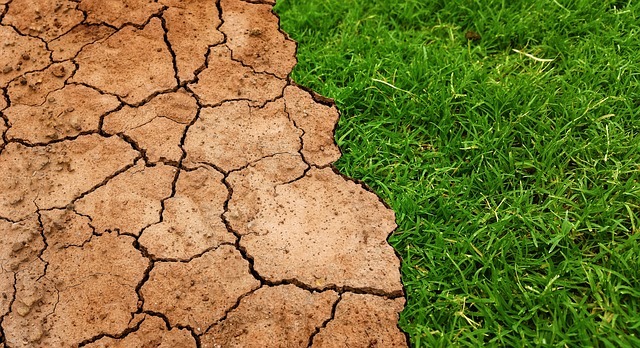 According to researchers, climate change will likely alter the soil system in various ways. For instance, changes in the atmospheric carbon dioxide concentrations, temperatures, and precipitation patterns and amounts will determine decomposition rates, modifying the soil-plant system. In turn, this will have an impact on the amount of organic carbon levels in soils. This is particularly important because organic carbon determines important soil qualities, such as soil fertility, structure and microbial population in soils. Secondly, precipitation and temperature typically affect the amount of carbon in soils as well as the distribution of organic matter in soils. For instance, studies have found that soils heated 5 to 20 cm deep tend to release 9 to 12% more CO2 than normal, whereas soils 100 cm deep release as much as 37% more CO2 than normal when they experience a 4˚ C temperature increase. This is because soils in the deeper levels contain more than 50% of the global soil carbon. More specifically, worldwide, the first meter of soil stores about 1420 gigatons (Pg) of carbon, while the above-below ground vegetation and dead organic matter store about 460 Pg of carbon. Because climate change also impacts precipitation, it is important to understand the relationship between soil and water. It is important to note that soils play a vital role in the water cycle. This is because soils store more than 60% of precipitation, making it available for plants. Throughout the water cycle, water passes through the soil. This means that if the soil is contaminated, it will contaminate the water, too. In general, plants grown in higher-quality soil typically need less water to grow. In other words, healthy soils help boost food production. Although climate change can be overwhelming, proper soil management practices can help remove carbon dioxide from the atmosphere, preventing the adverse effects of climate change. To put it another way, healthy soil can be a major sink for carbon. This is because healthy soils cause plants to grow at a robust rate, meaning more photosynthesis. This is important because during the photosynthesis process, plants convert atmospheric carbon dioxide into carbohydrates, removing CO2 in the atmosphere. Additionally, healthy soils sequester and hold carbon dioxide, preventing it from escaping into the atmosphere. The organic matter in soils plays a vital role in sequestering soils. On the other hand, soil degradation through practices such as deforestation, excessive use of pesticides and fertilizers, monocropping, erosion and frequent tillage cause soils to emit carbon into the atmosphere, leading to climate change.